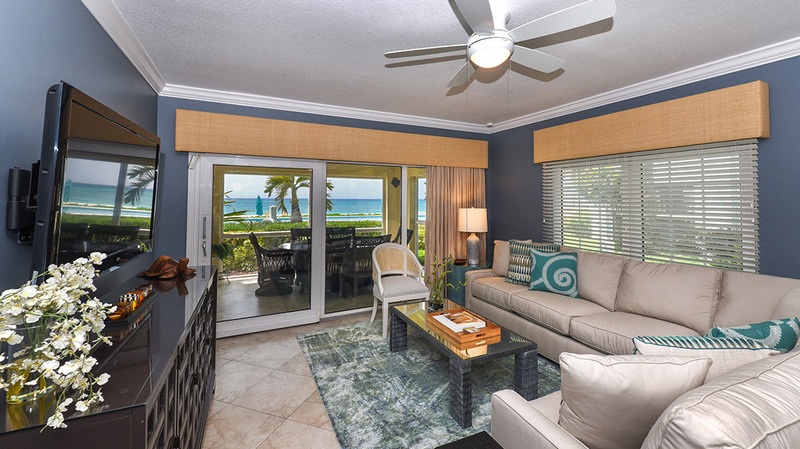 Tastefully and beautifully decorated, this contemporary condo is 1,800 square feet in size, with three bedrooms and three bathrooms. 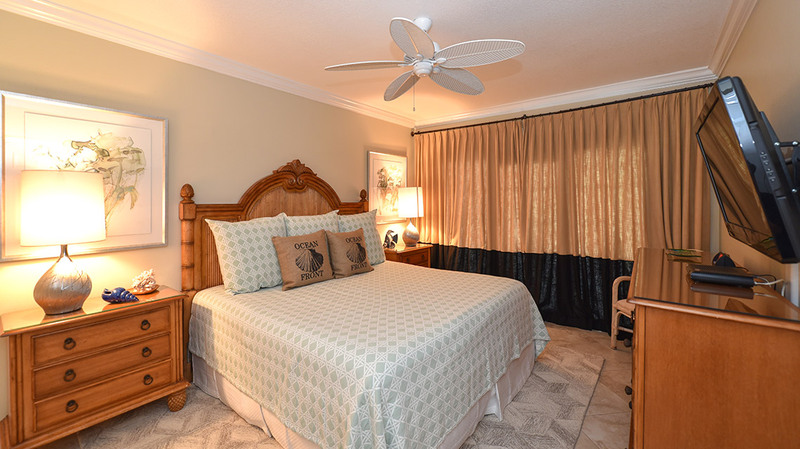 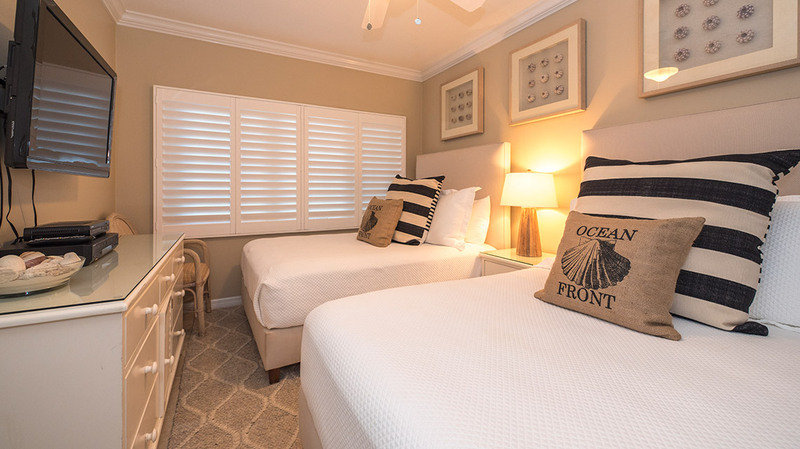 The spacious master bedroom and cozy guest bedroom both have king-sized beds; and the third bedroom features two full beds. 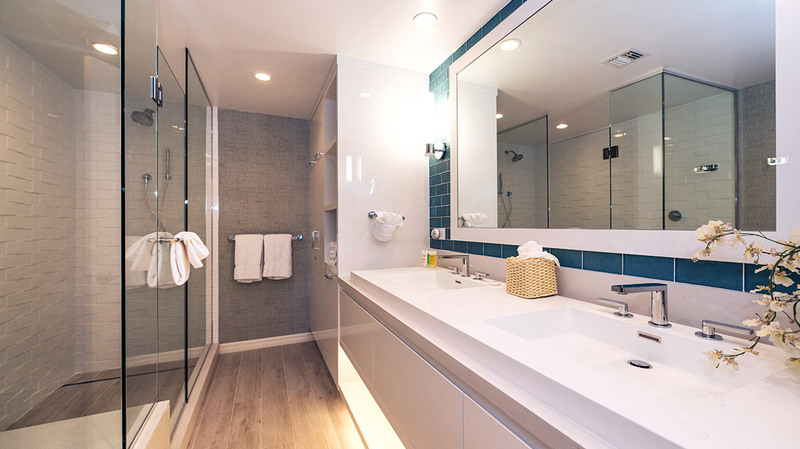 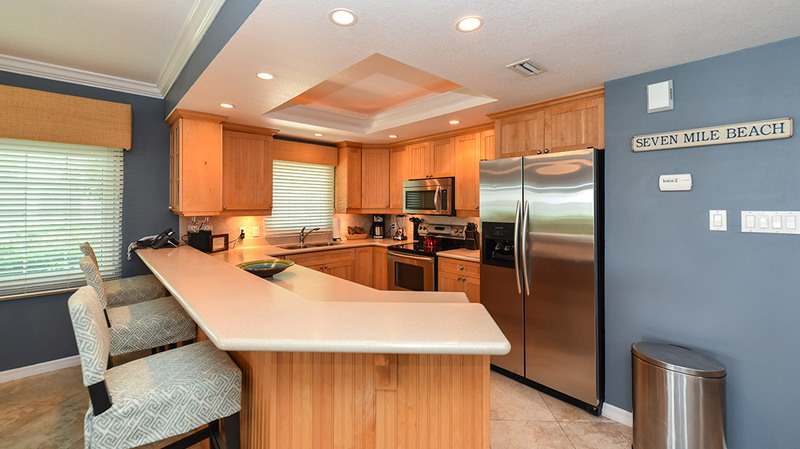 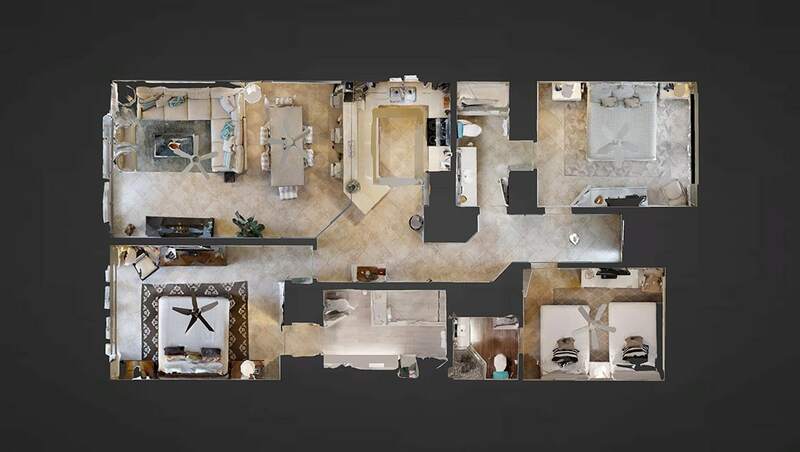 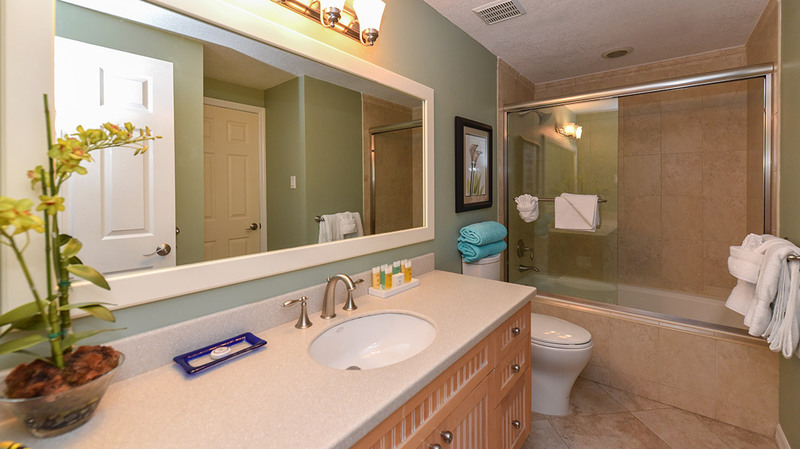 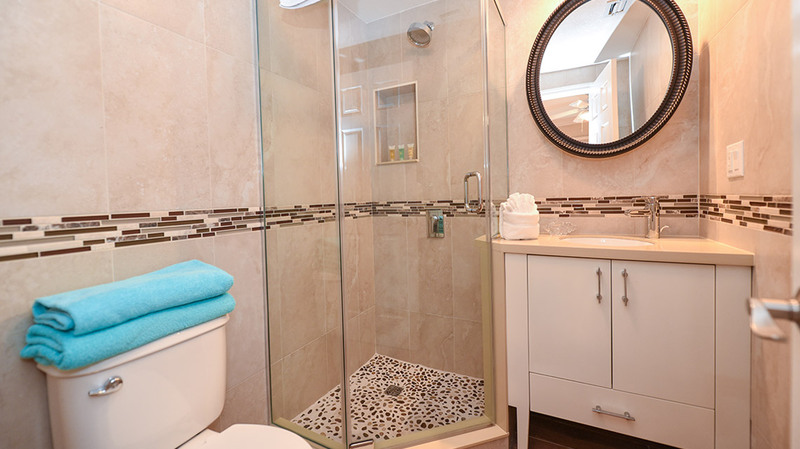 This gorgeous unit features bathrooms with glass-enclosed showers, lovely indoor and outdoor dining spaces, and a long serving area in the kitchen with stools to pull up and have afternoon refreshment. 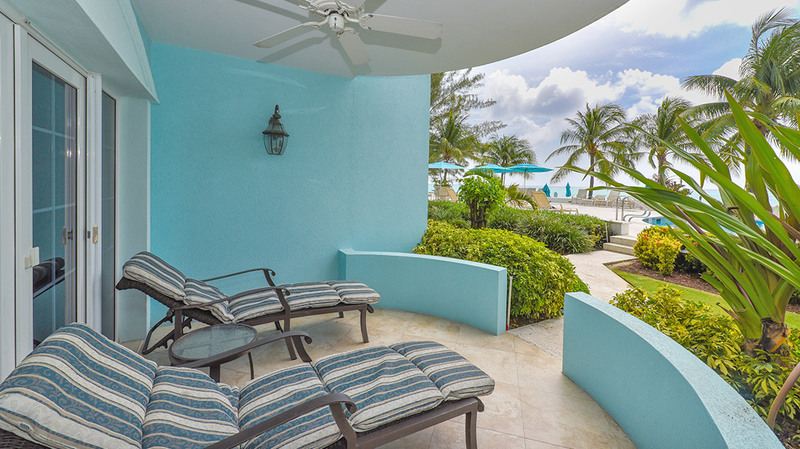 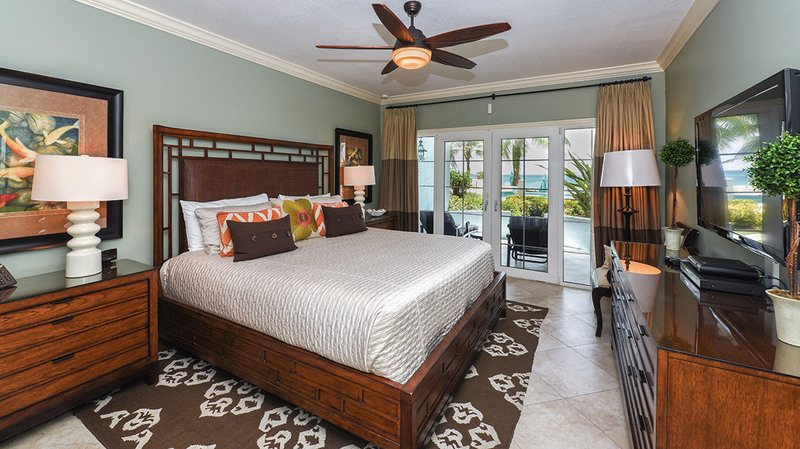 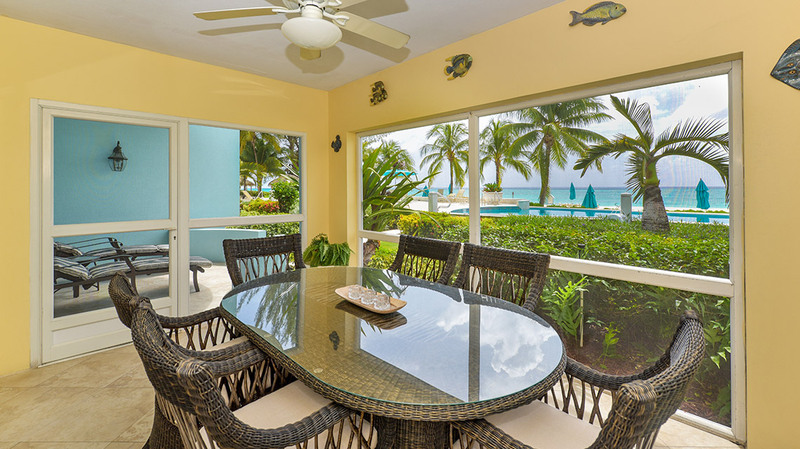 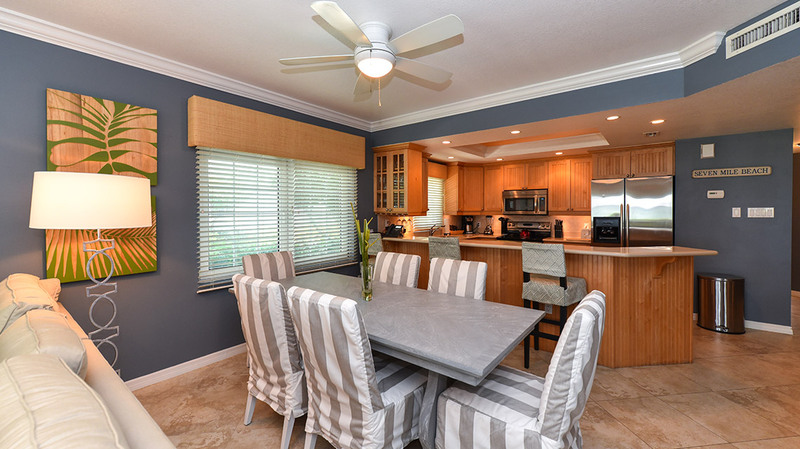 Cheerful and vibrant, this is the epitome of a luxurious Seven Mile Beach condo rental.